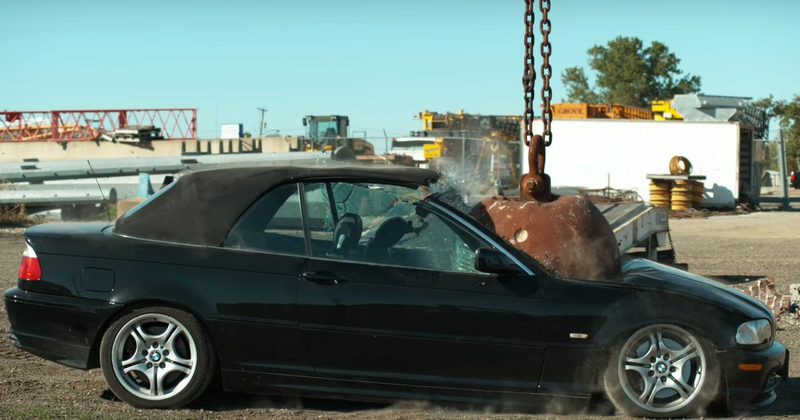 Popular YouTube channel ‘The Slow Mo Guys’ have done what every car-loving boy has dreamed of since the age of four; namely side-swiping cars and dropping heavy things on them from a great height with the use of a four-tonne wrecking ball (that’s the equivalent of two Mercedes S-classes in weight). The results are as awesome as you’d expect, with massive destruction, a flipped car and a BMW whose (hopefully four-cylinder) engine gets punched at 60mph. Lovely!